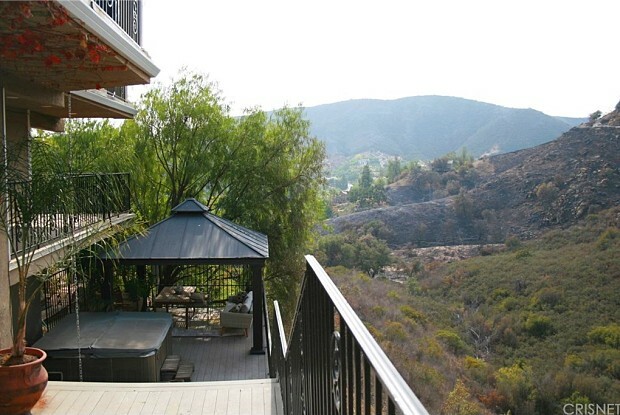 FOR LEASE-FULLY FURNISHED Custom built home in the exclusive private community of Bell Canyon California. Enter the beautiful double wood entry doors to this designer home with crystal chandeliers throughout with elegant decor. 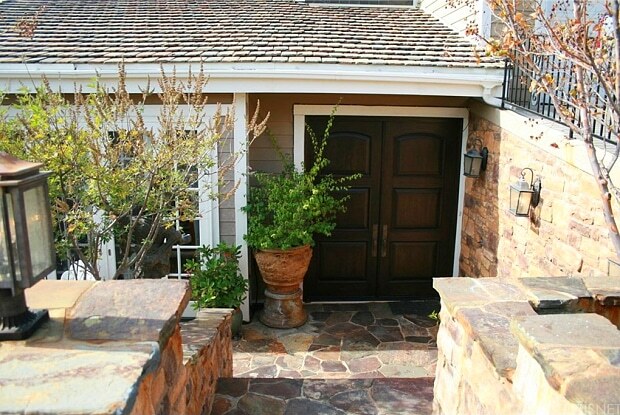 Double French doors open to a stone patio with waterfall in the formal dining area. Vaulted ceilings in the family room, living room, dining room and kitchen. Granite floors and counters throughout the kitchen, Wolf oven, large center island with mountain views and wraparound balconies throughout. New hardwood floors, 4 fireplaces, silk draperies, plantation blinds, and French doors that open to a wraparound balcony with views for miles. The library features rich Walnut wood walls and coffered ceilings, built in shelving, a custom bar and wine cellar. Double French doors open to a gigantic master suite with fireplace, built in wet bar with refrigerator, balcony, and huge walk in closet. The master bathroom boasts solid Crema Marfil marble floors, counters, has a steam room w/shower, and a luxurious spa tub. This 3-bedroom, 3-bath, 2 story, 3,967 square foot home has designer touches throughout, outdoor living space galore including a covered patio, full sized jacuzzi on deck, garden area, fruit trees, amazing views in every direction. Have a question for 57 Hackamore Lane?